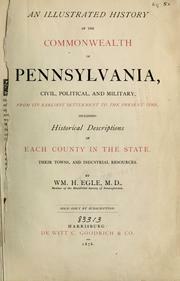 3 editions of An illustrated history of the commonwealth of Pennsylvania found in the catalog. Add another edition? 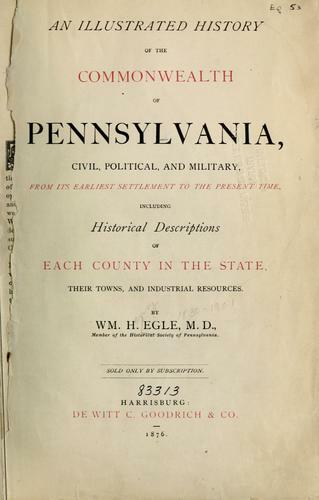 Are you sure you want to remove An illustrated history of the commonwealth of Pennsylvania from your list? Published 1876 by DeWitt C. Goodrich in Harrisburg . July 16, 2010 Created by ImportBot Initial record created, from Internet Archive item record.